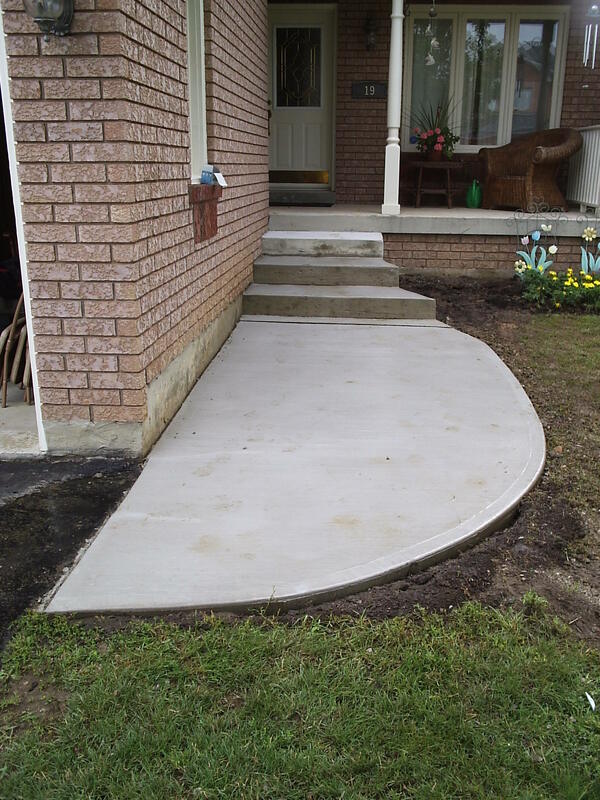 Concrete forming and pouring is done for porches, walkways, stairs, walls, floor slabs and a wide variety of other uses. Concrete can be coloured to match existing brick and stone work to complement your overall design. 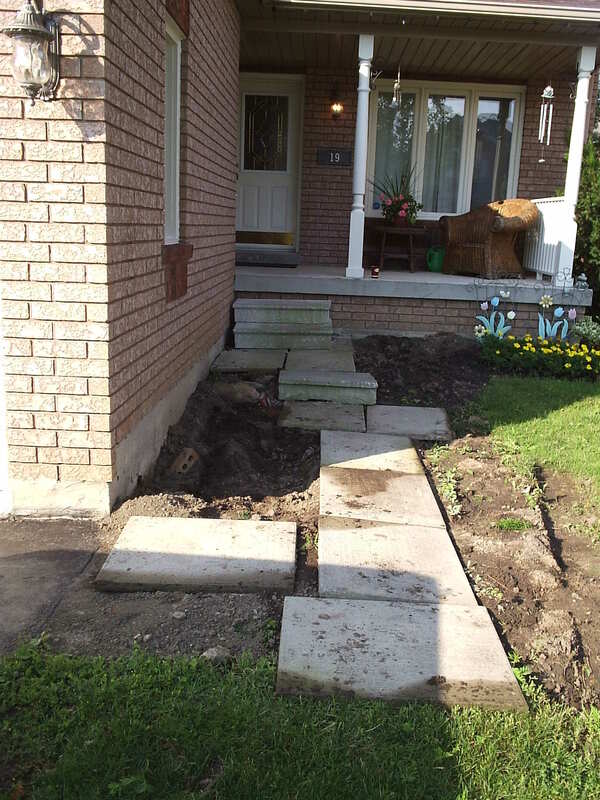 Interlocking stone/brick installation involves the laying of your preferred material on a level, well drained surface to create patios, driveways, pillars, posts, walkways, porches etc., and enhance the overall building appearance. 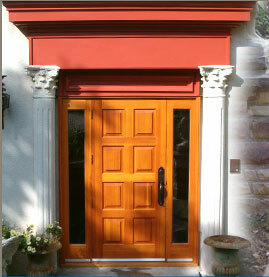 This can be done in a variety of patterns, colours and styles to suit a wide range of construction styles. Parging is the application of cement to a wall, usually at the lower parts of a foundation, to create a smooth surface. This process provides weather protection and improves the overall appearance of your building. Tuckpointing is the process of removing cracked and broken mortar from existing brick joints by chiselling or grinding it out. The joints are then brushed, cleaned and carefully filled with new mortar to match. This process will greatly improve the appearance of your building, provide weather protection and avoid more costly repairs and/or replacements. We also offer a variety of other construction and renovation services, so if you are looking for professional, high quality assistance with your upcoming project, please contact us for more information. 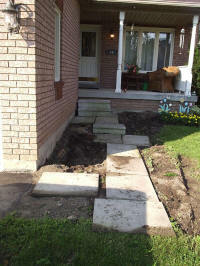 Visit our Recent Work section for more images and details on our service offerings.